Blog Year-in-Review: Thanks for a Great 2012! I figured 2012 was going to be a slow year. The big deployment story, after all, was "over" in 2011. At the risk of sounding un-humble, here are a few highlights of my 2012. Some are Big News. Others are Small and Quirky. Thanks to all of you—readers, sponsors, and fellow military writers—who helped make these and other great things happen. In the coming new year, I look forward to continuing to explore with you ways in which citizen-soldiers past and present—as well as their families—can be remembered, supported, and celebrated. In the meantime, best wishes to you and yours for a safe and rewarding holiday season! Encouraged (goaded?) 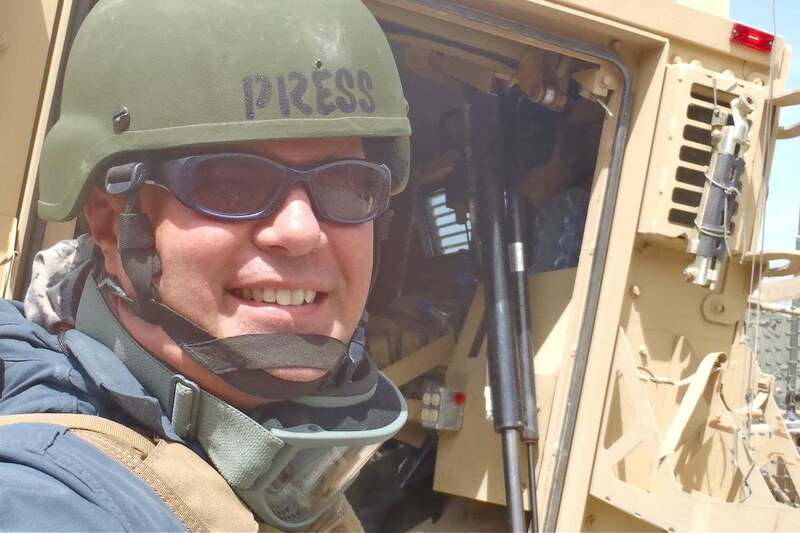 by fellow sarcastiste Peter Van Buren, author of "We Meant Well: How I Helped Lose the Battle for the Hearts and Minds of the Iraqi People," I entered and won a snarky feeding frenzy conducted by the Washington Post's "In the Loop" blog. The topic? How to repurpose the 104-acre U.S. embassy complex in Baghdad, and what to name it. One of my answers: "Turn it into the Fertile Crescent Community College. (Sports chant: 'Go Tigris!')" That still cracks me up. Memo to self: Bring the funny more often in 2013. 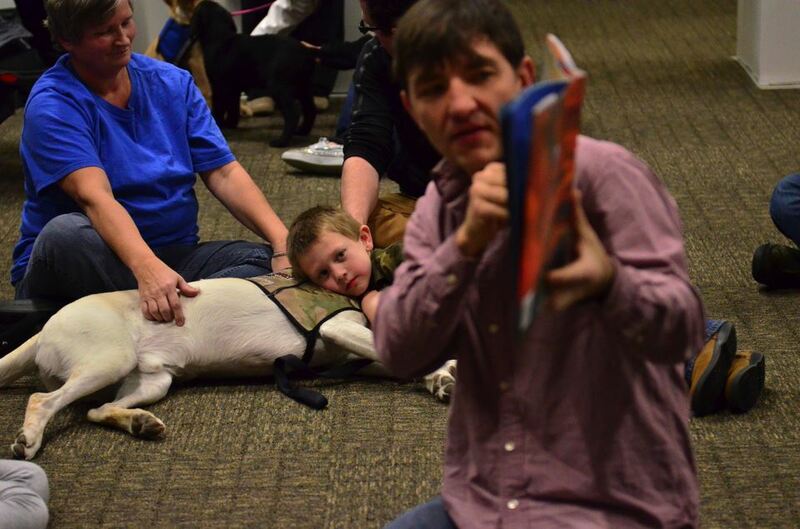 Published somer reflections on a service-dog graduation. In January 2013, the essay will also appear in an educational text on writing and reading comprehension . Here's to hoping that it is used as an example of good writing, rather than the other kind. Nominated as a finalist in the 2012 Milbloggie awards, sponsored by Milblogging.com. This year was in the "Reporter" category, rather than as a "Veteran." Back to my journalistic roots, or back to bad habits? You make the call! Reviewed "Memorial Day," a movie that featured some real-life Red Bull soldiers. In addition to the emotional and thought-provoking narrative, it was good to see the patch up on the proverbial Big Screen. By comparison, PowerPoint doesn't even come close. Have decided to make watching this movie a yearly tradition. Published an article about legal issues regarding psychiatric service animals on campus in The Journal of Military Experience, Vol. 2 . Here's the skinny in 50 words or less: In the United States, there are only two questions you can legally ask of a dog handler who is attempting to access public services. Make sure that your security, admissions, faculty, and other personnel know what they are. Otherwise, you might get sued. Or, at the very least, a bad reputation. Presented a workshop on how to write a military blog during the first Military Experience and the Arts Symposium at Eastern Kentucky University, Richmond, Ky. Awesome event, which brought together veterans, artists, and arts organizations. Writing, painting, dancing, reading! Looking forward to another—maybe next year? Read aloud the names of 96 Iowa service members and others who have been killed since 2003. The roll call takes place before the annual 5K Iowa Remembrance Walk/Run in Central Iowa. More than 800 registrants participated at this year's event! An awesome, humbling experience. Moderated two panel discussions about military writing at the inaugural "Sangria Summit" conference, Denver. Colo. Great information and inspiration not only on writing, but on getting published. There are two more planned for 2013! 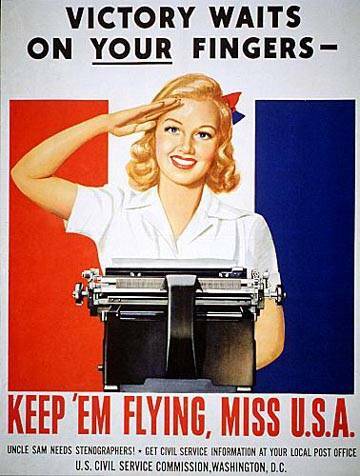 Won the first-ever Military Reporters & Editors (M.R.E.) journalism contest for independent bloggers. Ironically, given the judges' comments about not all bloggers wearing pajamas, I am writing this year-in-review post wearing exactly that. 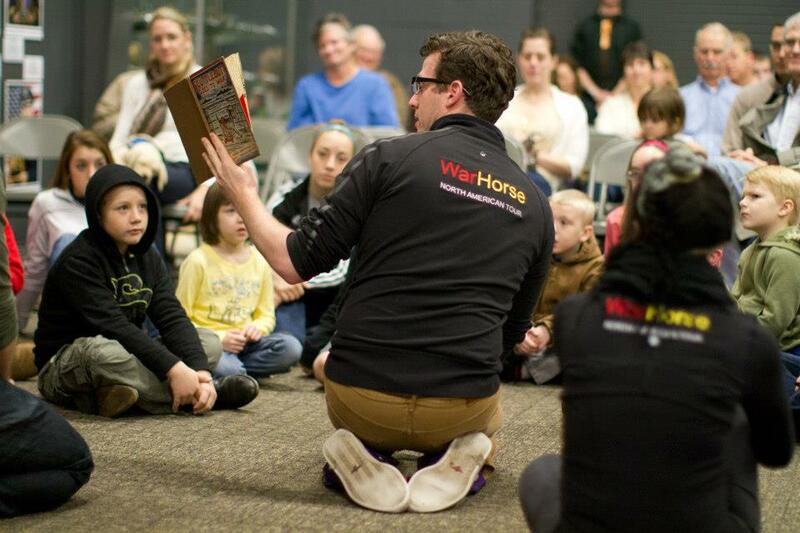 Participated as cast-member of "Telling: Des Moines," a stage production that presented the personal stories of eight Central Iowa military service members, veterans, and families. Part of the growing number of productions nationwide facilitated by The Telling Project, Austin, Texas, the Des Moines production was underwritten by the Des Moines Area Community College ("DMACC"). Published a poem in "Proud to Be: Writing by American Warriors." Have never called myself a warrior. Have never called myself a poet. Am now, however, calling myself a "warrior-poet." Household-6 isn't buying it. Attended a workshop at the National Press Club, Washington, D.C. called "Common Ground: The Media, the Military, and Post-traumatic Stress." The event was sponsored by the Robert R. McCormick Foundation, and administered by the William Allen White School of Journalism at the University of Kansas, Lawrence, Kan. Lots of insights to share! 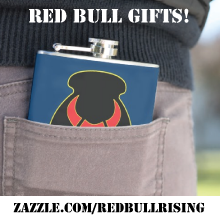 Thanks again for reading the Red Bull Rising blog! Have a safe and happy New Year's holiday, and I'll see you "on the objective" next year! Like the Red Bull says: "Attack! Attack! Attack!" Save for the promise of a babe in a barn, one would be hard-pressed to conceive a more incongruous congregation: A troupe of traveling actors, a pack of puppies, and a muttering of children who have, on this misty gray Saturday morning, in a military museum filled with guns and planes, gathered together to share stories and songs. 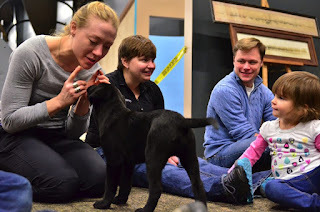 Making her introductions, Paws & Effect Executive Director Nicole Shumate remembers the day before, an ugly and unthinkable and nearly unspeakable day, but only in passing. "Considering yesterday's events," she says, "I can't think of a better way to spend my day today, spending a little time with some kids." Her voice cracks a little, and so do we. The troupers hail from the national tour of "War Horse," which is playing later that afternoon at the Civic Center of Greater Des Moines. 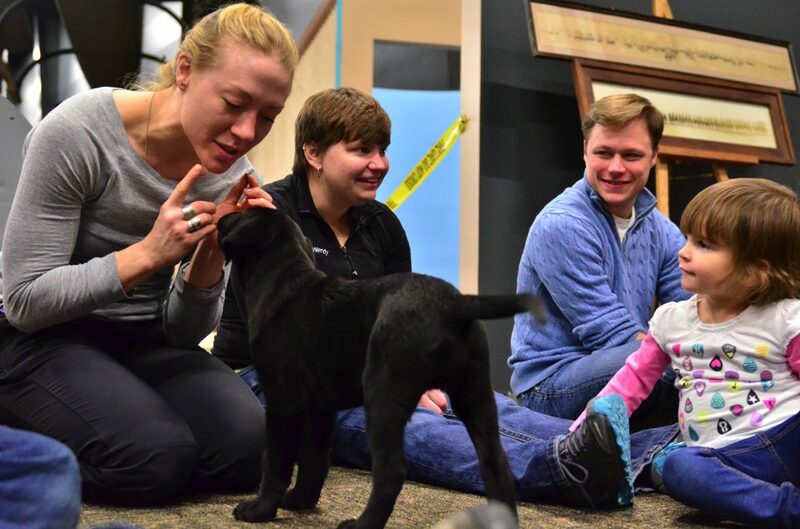 It is a theatrical play that celebrates, among other themes, the connections among humans and animals. It was also a movie. Before that, it was a book for young people. After the song, the performers focus on their floor-bound audience, eagerly taking turns to read aloud three children's books. At times, it is difficult to discern who is having more fun: the kids, the readers, or the occasional errant pup who crashes in among both. 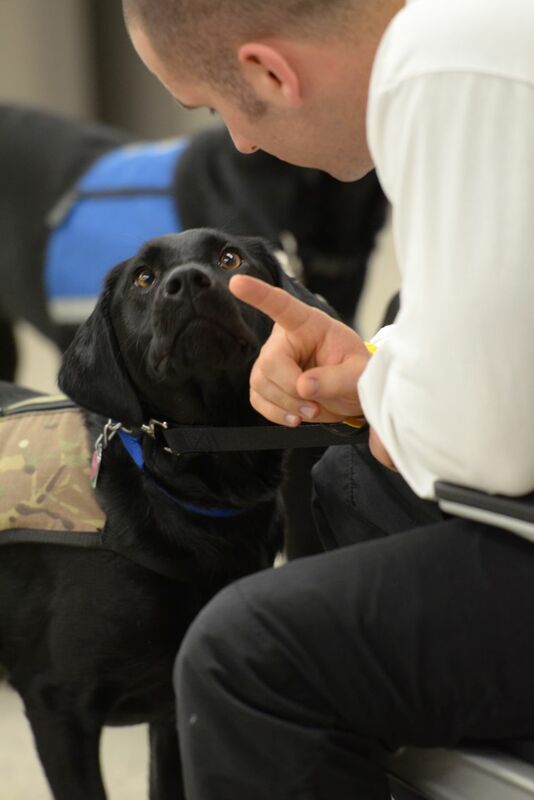 In addition to training psychiatric service animals for wounded military veterans, Paws & Effects helps train Reading Education Assistance Dog ("READ") teams—humans and animals that help with literacy efforts. Indeed, some of the children and dogs present have met before, during pre-event arts activities at the Civic Center's annual series of family-centered performances. First, "Scuttlebutt Goes to War," a childhood favorite of mine. 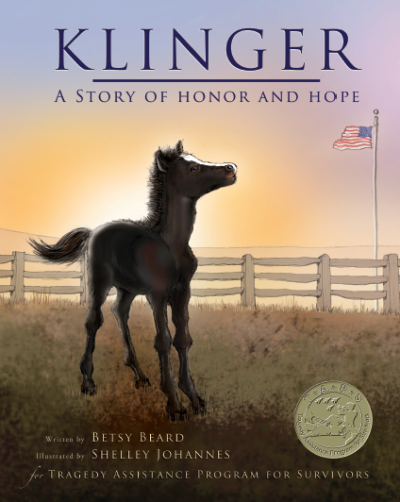 The 1943 picture book is the true story a dog who is wounded in World War II, and adopted by sailors and Marines. Scuttlebutt gets his name from the wheeled apparatus he uses to get around temporarily, having been injured. Even as a kid, I apparently enjoyed military punnery. 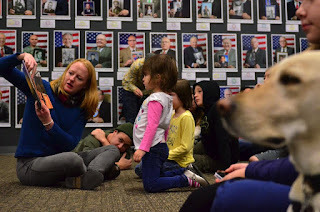 And stories about dogs in service. 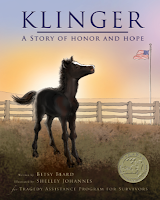 Then, "Klinger: A Story of Honor and Hope," which tells how a horse from Iowa becomes a key part in honoring soldiers at Arlington National Cemetery. Finally, "14 Cows for America," the story of how, following the attacks of September 11, a tribe in Kenya sought to comfort Americans with the gift of its most treasured possessions. Between stories, more songs: "She'll Be Coming 'Round the Mountain," then "This Land is Your Land." Scientists grandly speak of a unified theory of forces, attractions that bind and connect all that is, from planet to particle. Some are strong forces. Some are weak. The way I understand it, some of the smallest are also the strongest, responsible for binding together such fundamental bits as protons and electrons. And, no doubt, snakes, snails, and puppy dog tails. Even during the holidays, one need not look far to know that there is pain in the world. And hurt. And evil. But there is also peace—a peace that can be found in belly rubs and cocked ears, eager listeners and cradled babes. Remember this, where'er the wheel of fortune takes you this holiday season: Every moment is a present. Every story, a gift. According to its website, Consequence literary magazine is an "independent, international literary magazine." Located in Cohasset, Mass. and published annually, the magazine accepts submissions between June 1 and October 1 each year. The magazine's content comprises short fiction, poetry, non-fiction, interviews, visual art, and reviews focused on the culture and consequences of war. 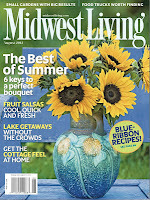 For an online copy of the Spring 2012 issue, click here. Subscriptions are available. Rates are $10 for one year, $19 for two years, $28 for three years. The publisher also welcomes donations. For fiction and non-fiction: Submit one piece of no more than 5,000 words. For poetry: Submit up to five poems of any length. Translations are acceptable. A $300 annual prize in poetry is offered. For details, click here. For more details on how to submit to Consequence, click here. 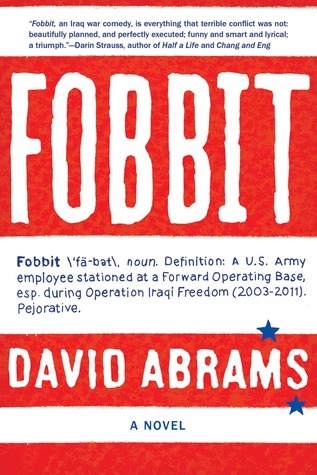 The publication has demonstrated a willingness to creatively engage the veterans community. 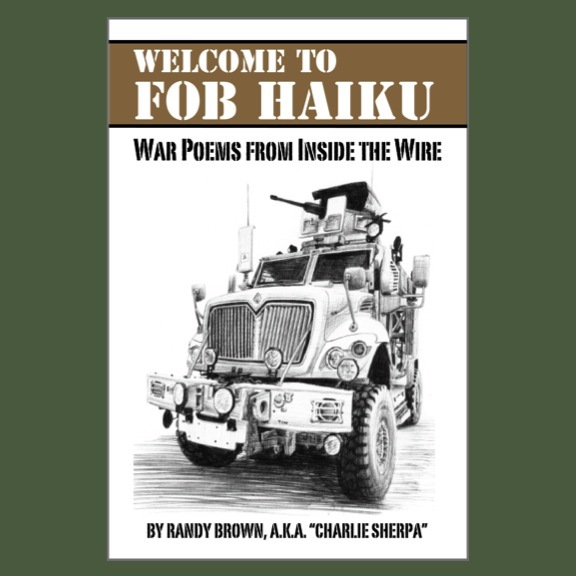 In October 2012, for example, the magazine conducted a two-session poetry workshop for veterans, in conjunction with the Massachusetts Poetry Festival. Disclaimer: This content regarding military writing is underwritten by Victor Ian LLC, a military media and gaming business. The business publishes Lanterloon, an eclectic lifestyle, technology, and military blog; has a physical retail storefront called "Dragons and Dragoons" located in Colorado Springs, Colo.; and hosts military-writing workshops and other events under the "Sangria Summit" brand name. "The low-residency model is suitable for both traditional and non-traditional students: You can keep your job and keep up with your family responsibilities while studying for your MFA," says Jeanetta Calhoun Mish, acting director of the Red Earth MFA program. 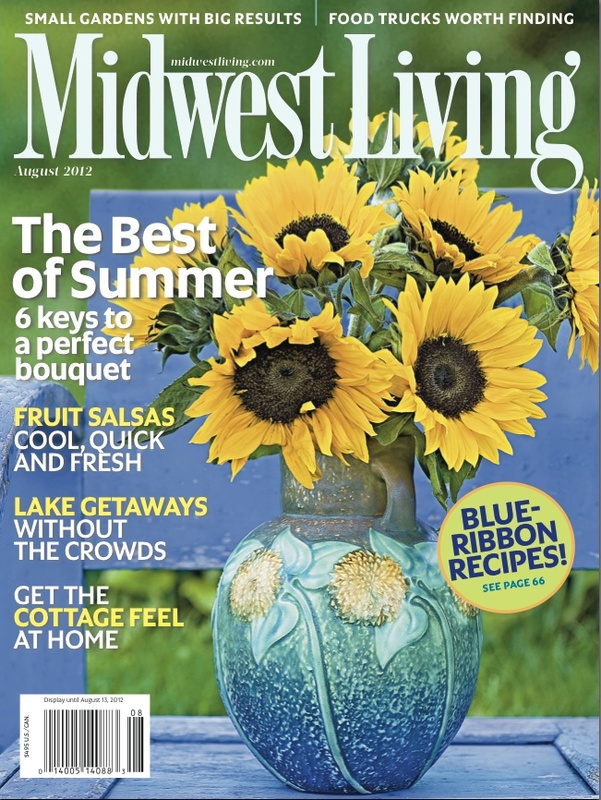 Notably, the program bills itself with the tagline: "Write in the middle of it all." Red Earth MFA students attend classes at the university twice each year, during 10-day residencies in January and July. Between sessions, students work from home, reading and writing toward their respective research objectives. They also participate in online workshops. The MFA program can be tailored to fit most any genre of interest, Mish says, including fiction, creative non-fiction, screenwriting, and more. It can also be targeted toward either the teaching or practice of writing. Students complete 12 hours of course work each fall and spring semester for two years, for a total of 48 hours. During a final, fifth residency, students present a thesis project—a manuscript-length creative work in a genre of their choice. 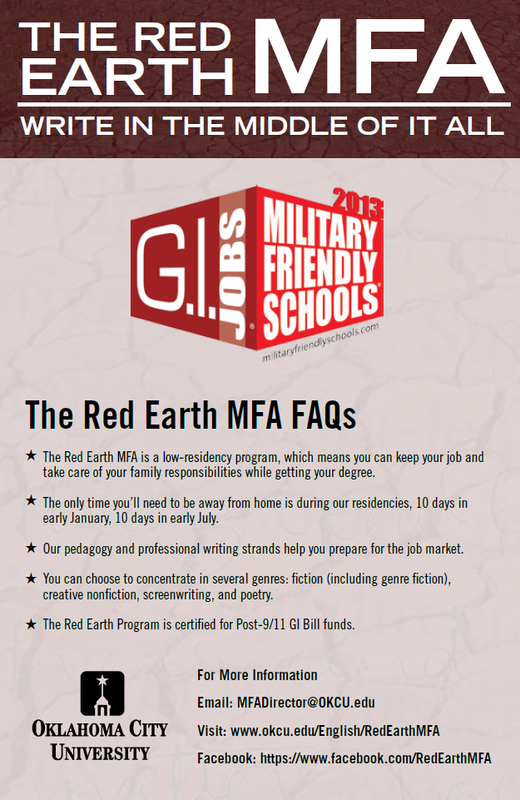 An MFA is considered a terminal degree. 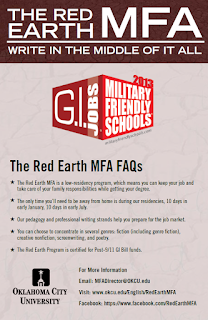 For a helpful article regarding the utility of low-residency MFA programs, click here. Disclaimer: This Red Bull Rising blog-post about military writing is sponsored by the Red Earth MFA program at Oklahoma City University. This Master of Fine Arts in Creative Writing program requires 10-day residencies twice a year, in January and July. The program encourages explorations in all forms of creative non-fiction, poetry, screenwriting, and literary and genre fiction. The program has been approved for post-9/11 G.I. Bill funding, and Oklahoma City University appears on Victory Media's 2013 list of Military Friendly Schools. Flash-Priority for Flash-Fiction Contest Deadline! An annual fiction contest for works written with fewer than 1,000 words is accepting e-mailed submissions until Dec. 31, 2012. The Sixth Annual Micro Awards will recognize stories that have been published in print or electronically in 2012. Self-published materials are acceptable. For full contest rules, click here. Winners and finalists will be announced in March 2013. 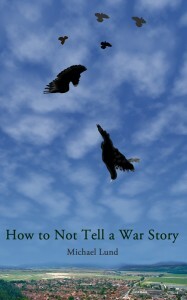 The author of the winning story will be awarded $500. To get more of a feel for the competition, be sure to check out the administrators' comments about each previous year's winners and finalists, from 2012, 2011, 2010, 2009, and 2008. Shout-out to the Warrior Writers blog for the tip! A decade of war has finally delivered a few noble attempts at capturing Iraq Freedom in fiction. Last year's "Billy Lynn's Long Halftime Walk" was published in paperback earlier this fall. Think of it as a modern update to the themes of military sacrifice and media celebrity you saw in the movie version of "Flags of Our Fathers" (2006). 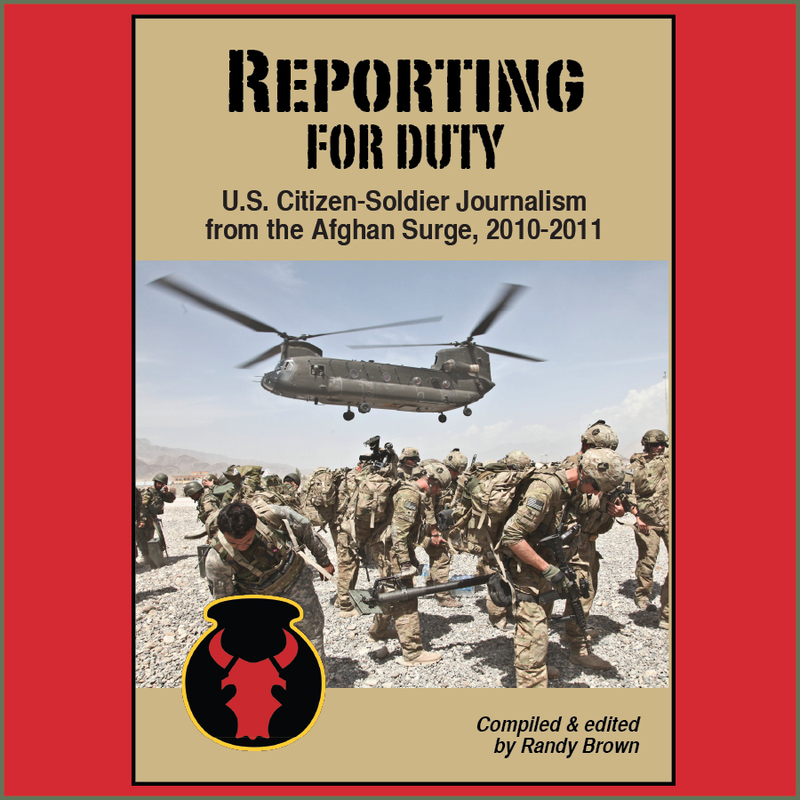 As noted previously in the Red Bull Rising blog, 2012 was also a great year for anthologies of military fiction, non-fiction, poetry and essay. In addition to mainstays such as The Journal of Military Experience, there was "Proud to Be: Writing by American Warriors" , "Remembrances of Wars Past: A War Veterans Anthology" , and "How to Not Tell a War Story." The latter, much like memoirist Dale Keuter's chapter on peacetime service, explores what it means to be a veteran who did not go to war. Or, at least, went to war but returned without stories to tell. The Veterans Writing Project published its inaugural issue of "O-Dark-Thirty," a literary journal of military fiction, non-fiction, and more. Individual issues are $10; give a year's subscription (5 issues) for $30. Click here for details. If you want to expand someone's desert-sand horizons beyond the dusty and prosaic, give them "Red Fields," Iraq veteran Jason Poudrier's collection of poetry. Given his occasional cartoon allusions, I'll leave it at that. 'Nuff said. 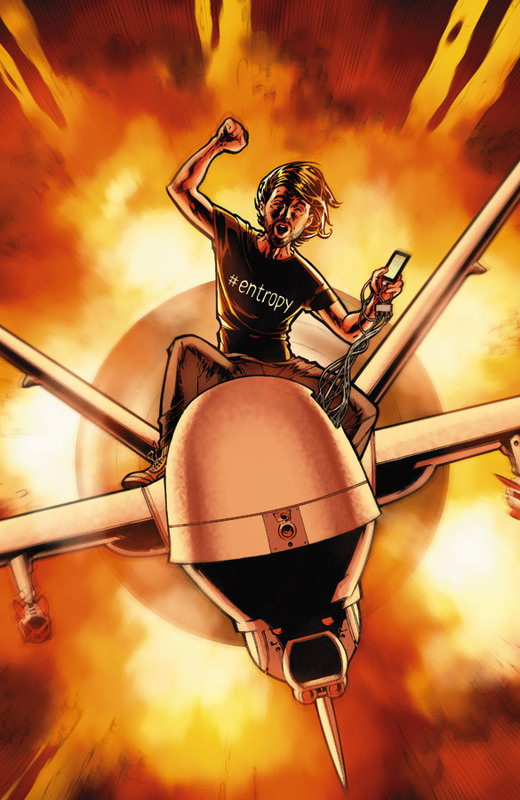 Speaking of cartoons, a few military-themed comic series are now available as trade paperbacks, including Top Cow's "Think Tank" Vol. 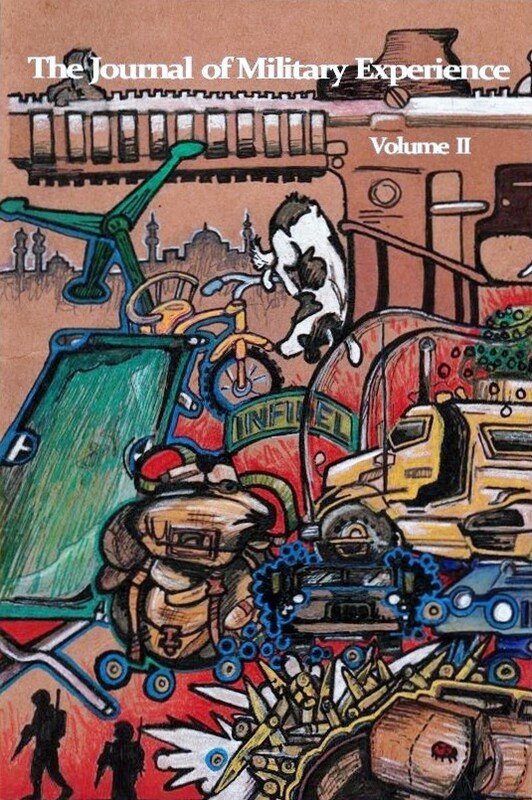 1 ; Image Comics' "The Activity" Vol. 1 ; and the now-defunct series "Men of War" Vol. 1 from DC Comics. Red Bull Rising readers will remember my penchant for pithy and punchy military epigrams. 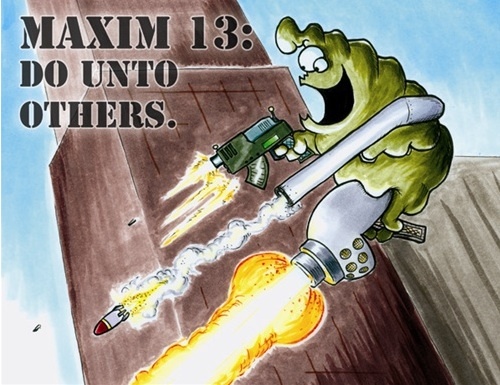 I'm pleased to report that Howard Tayler has delivered a second set of his "70 Maxims of Maximally Effective Mercenaries" in the form of a 2013 calendar featuring characters from his Schlock Mercenary universe. The calendar comes with a download code, so that you can plaster each month's maxim on your computer. You can also order PDFs alone, so that you can wallpaper your work cubicle, sleeping bay, or Tactical Operations Center. For the 2012 set of maxims Nos. 1-12, click here. For the 2013 set of Nos. 13-24, click here. Remember Maxim No. 13 and the Golden Rule of Firepower: "Do unto others ..."
Finally, looking for some stocking stuffers? How about a Doctrine Man!! mug, calendar, coin, or matching Reflective Safety Belt and shower shoes? Or a CD-ROM full of PowerPoint Ranger goodness that's sure to shake up your next briefing marathon? 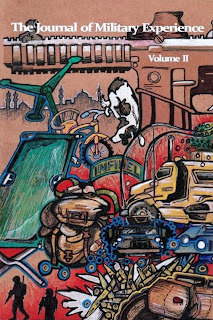 The Journal of Military Experience, published on the campus of Eastern Kentucky University, Richmond, Kent., is currently accepting submissions for its third volume of creative fiction, non-fiction, scholarly writing, poetry, and visual arts. Deadline for submissions is Dec. 31, 2012. Publication will take place in November 2013. Our goal in pairing scholarship, art, activism, and academic research is to encourage readers to reflect critically on both their own experiences as well as those shared in the journal; we hope to do that by providing our readership with essays which articulate provocative and useful theories and research for an audience as diverse as JME’s readership is: academics, soldiers, families of soldiers, and those affiliated with neither academia nor the military. Publishing all of this information in one place fulfills the practical purpose of allowing scholars to interact directly with the selfsame subjects they’re writing about, to allow a more transparent flow of communication among scholars, soldiers, veterans, and academics. This assures that veterans and soldiers have a say in the scholarship being written about them. Selections from the first and second issues of The Journal of Military Experience are available free of charge at the EKU Encompass website. Print back-issues are also available here and here . Managing Editor Travis Martin recently offered writing insights on the Red Bull Rising blog here. The U.S. Bureau of Land Management (B.L.M.) and Sierra Club are co-sponsoring a writing and visual arts contest that calls for military service members, veterans, and immediate family members to express their appreciation for public land. Original photography, videography, creative writing and essays should be submitted on the theme of "What my public lands mean to me." This land is your land, these words are your words. Unfortunately, the deadline on this opportunity is also danger-close: 11:59 p.m. Eastern Standard Time, Dec. 6, 2012. According to a contest website, photos and videos should depict "depict land managed by the Bureau of Land Management, National Park Service, U.S. Forest Service, U.S. Fish and Wildlife Service, U.S. Bureau of Reclamation, or other Federal agency." Blog-editor's note: I'm pretty sure that Fort Irwin, Calif., is land managed by a Federal agency. Someone out there might appreciate that. Photos must be 300 dpi and between 3 and 5 MB, and in TIFF or JPEG format. Videos should be between 30 seconds and 3 minutes in length. Entries will be judged by a panel of BLM and Sierra Club employees, on criteria including creativity, passion, technical ability, and public vote. Winners will be announced Dec. 21, 2012. Winning entries will be featured on BLM and Sierra Club websites and social media. Winners will receive "outdoor support kits." One caveat or quibble: Why specify "active-duty service member," given that so much of today's U.S. military capability comes from the Reserve Component? Of course, if you're a reservist who has previously deployed for a period of longer than 6 months, you're arguably a veteran. And, if you're a reservist currently downrange serving on active-duty, well ... there you go. This contest was made for you and me.